Secret Service that is. Made this one for an agent back in DC. They are required by USSS to permit the gun to be locked in the holster via a padlock or handcuff. The holes go through the trigger guard, right behind the trigger. 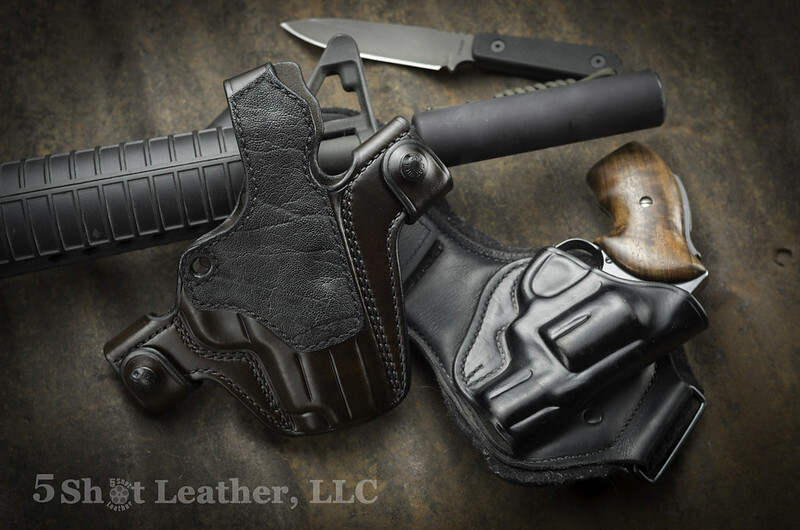 Even if you rip it out of the holster, the lock will not allow the trigger to travel to the rear. Kinda what I thought but I have never seen that. Interesting. Must be very new...? I've had those guys here and not seen that.